A responsive Torsion Cap and Multicore construction gives the Voss a light, soft-flexing tip and tail, while the 3/4-length steel edge provides sure grip a minimal weight. Swift and light, Voss MGV+ will carry you as far as your legs will go off the groomed trails. I was happy to find these discontinued skis at a great price. Free shipping was an added bonus. I received the skis quickly and they were well packaged. I was skeptical of the Voss -being a 3/4 edged ski- I worried they would not be lively nor hold wax well. They are great skis and perform well with a nice soft tip and springy camber. The wax pocket holds up well and the skis glide well. There is not a better deal to be found! 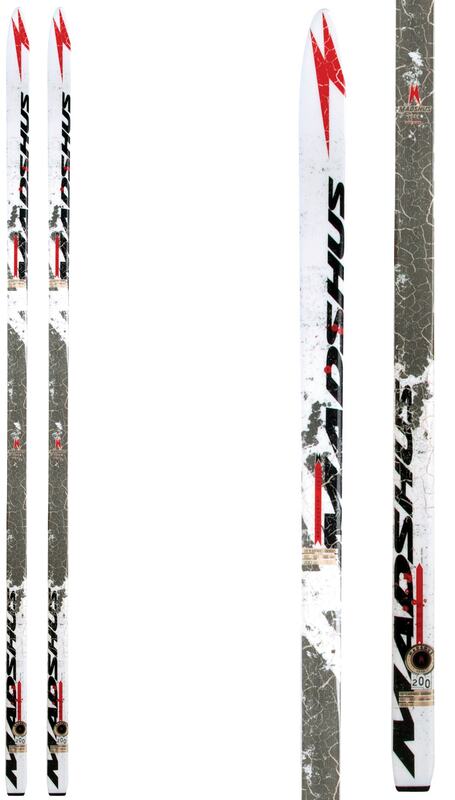 Are these waxable or waxless skis? I think that the descriptive text for this item is for a different product..
BEST ANSWER: They need kick wax. Your theory is plausible, but perhaps it's the description that's correct and the specs that are wrong. Better ask the help desk. The Voss that I purchased from The House require kick wax. I mounted the NIS Plate for NNN binding. What is the side Cut? Do they have fish-scale pattern on the kicker? BEST ANSWER: 60-50-55mm is sidecut. They have NO fishscales-these are WAXABLE skis! They hold wax well and glide excellent as they are double cambered with a lively soft tip that is edgeless. If you are looking for a hard to find, well performing waxable ski- look no further. If you want no glide, noisy and slow on downhills- then look elsewhere- there are many choices for low performing waxless skis out there. Sad to say, many people will never experience the significant performance difference that a waxable ski offers. Waxing is not rocket science, but in 90% of ski conditions it is FAR superior to skiing on waxless skis that have little glide because of WAY too much friction, climb no better, and are prone to icing. You waxless skiers have NO idea what you are missing! Unfortunately I am a novice and don't have the experience to answer side cut but a fish scale pattern does not exist on the base. They do not have the fish scale pattern, they require a grip wax. no they are a wax ski , they have 3/4 metal sides. 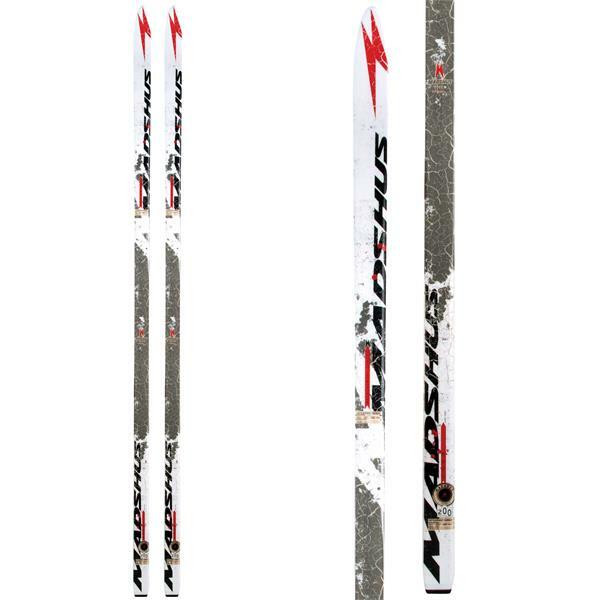 Are these skis compatible with Rossingol Xcelerator NIS type binding? It only says that the skis' binding mounts are "flat" but I'm not sure what that means. BEST ANSWER: Yes and no. The skis do not have a built in interface for the nis bindings. They are more suited to a 3 pin telemark or nnn bc binding. They're high camber and built like an alpine ski. However, you can buy an adapter plate that mounts to any flat mount ski, and then mount the nis to that so you get the adjustment benefits. Nis is ill suited to the voss.. Yes you can. Will need to purchase the NNN mounting plate $7. Take to a ski shop for mounting OR Mount yourself. Will need to find balance point on the ski which aligns with the pin of the NNN binding/boot. The plate is mounted with screws, drill gently not too deep(9/64 bit) and wood glue. Binding slides on rail of the NNN plate with small wrench that comes with the binding to lift binding tabs. This ski does not have an NIS plate. You will have to use screws to mount a binding down. I don't know if NIS bindings require an NIS plate or if they can be screwed down directly. Yes if a compatible plate is first installed.